Guests started reporting the outage around 3 p.m. This is a roundup of all the breaking news from around the Las Vegas valley for July 5, 2018. Las Vegas police responded to reports of a shooting on Mountain Vista Street near East Tropicana Avenue at 10:01 p.m. Officers located three victims with gun shot wounds. Two of the victims have life-threatening injuries. The suspects fled in a white sedan and are still on the loose. Police advise people to avoid the area. Clark County Fire Department responded to a report of a fire at 3611 Judson sending 4 engines, 1 truck, 1 rescue, and 2 battalion chiefs which included resources from Las Vegas Fire and Rescue and North Las Vegas Fire Department. Fire crews reported smoke and flames coming from the rear of a single-story house. Firefighters made an offensive attack and knocked the fire down at 9:17 p.m. Southwest Gas and Nevada Energy were requested to assist with utilities. Two patients were evaluated on scene but it is unknown if they were transported. American Red Cross was requested to assist with 6 adults and 1 child that were displaced as a result of the incident. Damage has not been estimated yet. Las Vegas Fire and Rescue responded to a fire at 4700 Lorna Place at 8:15 p.m. The fire started in the backyard of a house and spread into the kitchen and attic. There were no injuries and the cause is under investigation. Nine people were possibly displaced by the fire. Caesars Entertainment says that the power has been restored to the Flamingo hotel-casino and the Cromwell. NV Energy is continuing to investigate the cause of the outage. Around 4:33 p.m., firefighters responded to a mobile home fire at 1322 South Mojave Road, near East Charleston Boulevard. Crews at the scene were able to put it out within 20 minutes. Firefighters say the structure appeared to be vacant. No injuries were reported. Clark County firefighters were called to the scene of a business fire around 2:33 p.m. at 3450 South Maryland Parkway, near Desert Inn Road. Crews at the scene say an activated sprinkler head was able to put out the fire. The building was evacuated, and no injuries were reported. 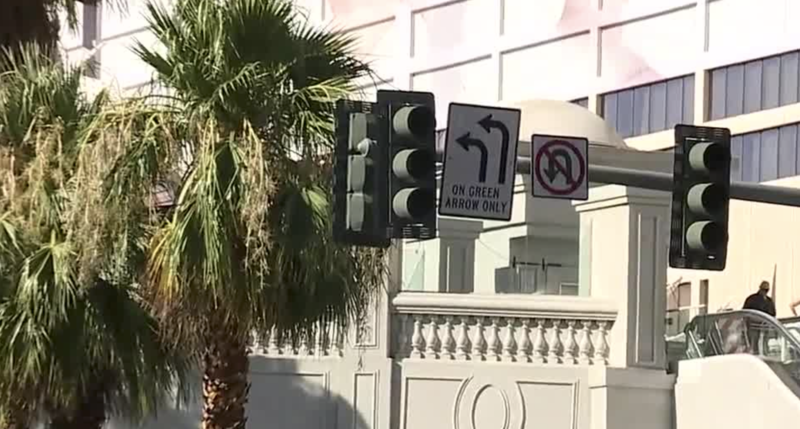 Police are directing traffic at the intersection of Flamingo Road and Las Vegas Boulevard due to a power outage in the area. NV Energy says the outage at the Flamingo hotel-casino is not the result of a fault on their end. They believe there's something on the Flamingo's end that's causing the problem. NV Energy crews are at the scene assisting to resolve the outage. There are reports of a power outage at the Flamingo hotel-casino. In addition, power was out on Las Vegas Boulevard between Flamingo and Spring Mountain roads along with Flamingo Road to Interstate 15. A crash on Interstate 15 near Tropicana is closing down traffic in the resort corridor. Give yourself a few extra minutes to arrive at your destination if you're headed in that direction.